Thrill-seekers rejoice! There’s a new high-stakes psychological immersive play in town, and the subject is none other than death and mortality. The Mortality Machine, by Sinking Ship Creations, takes place in a Canal Street basement where, as the story goes, five people died in 2014 as a consequence of a botched medical experiment. Soon after, the facility was closed off and the evidence was buried under countless legal documents. 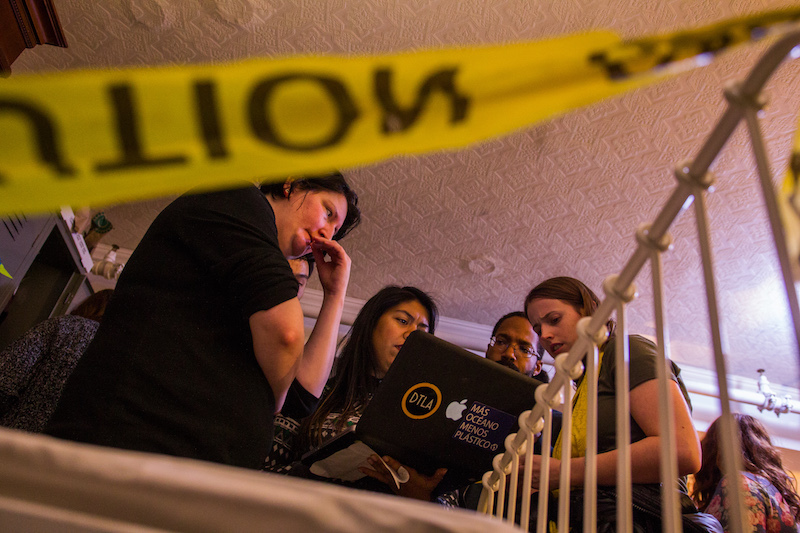 Five years later, a lawyer manages to get access to the basement, which sets the story in motion as participants investigate what exactly happened. The experience comprises touring the laboratory where the unfortunate experiment took place, access to a “white room,” a meeting with a “psychopomp” (a sort of spirit guide), and learning a form of communication through dance. Light escape-room elements are also part of the play. 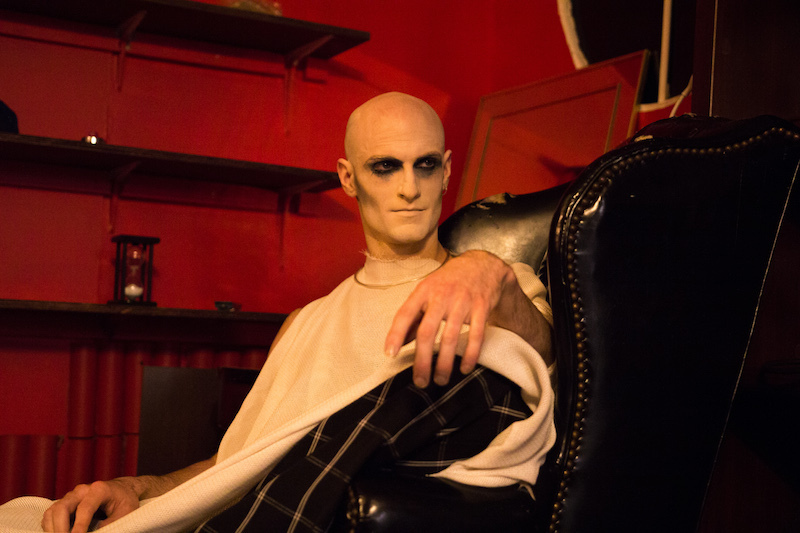 If that seems vague, it’s intentional: “There is nothing scripted,” producer and writer Ryan Hart told Bedford + Bowery after the first preview night, when a group of “escape-room people” had moved the furniture all over the place, frantically searching for clues. “The big thing to remember is that every one of these [performances] is different. 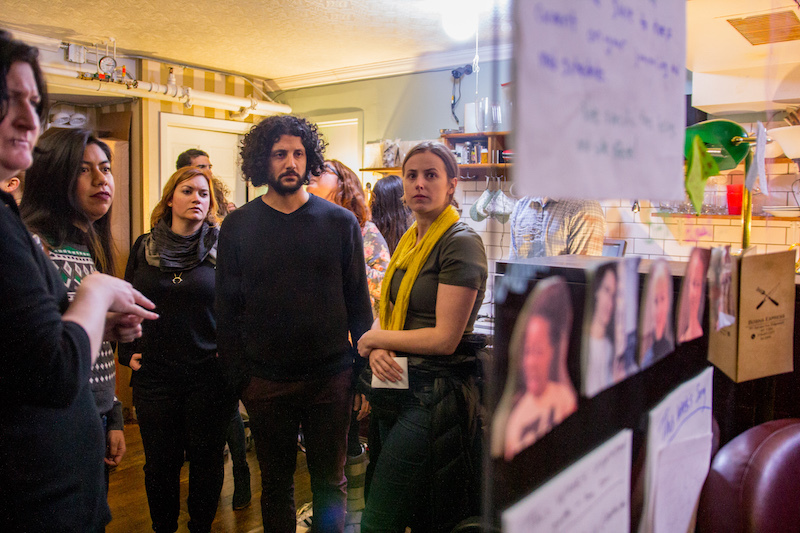 The other thing to remember about it is that it’s a 360-degree design.” This means that every element of the set design, from the ephemera scattered throughout the basement to the filing cabinets, are part of the experience. The only exception is a sprinkler, conveniently marked with an orange DO NOT TOUCH sign. As an atheist with no belief in the afterlife, Hart realized, in the early stages of productions, that the fact that his creative partners and associates didn’t necessarily share this view might open the experience to a wide variety of possibilities. “We tell people this experience is about you and we want all of the decisions to matter.” Based on what a participant believes, they can perceive it as a clinical or a supernatural experience. Since there’s a high level of interaction between participants themselves and between participants and performers, where everyone is in character, three rules are given prior to entering the basement: no touching breasts, groin or bottoms; the hands-up technique, a don’t touch me gesture, which works both for performers and participants and a general remark regarding no violence, simulated or otherwise. Related to this, no drinks are offered as part of the performance. “We like to drink, and drinking is good, but safety is a primary concern and we take it very seriously,” he said. Many people are new to LARPing and Ryan wants them to have a clear mind. Loosening up, he added, comes from the experience itself. The Mortality Machine opens on January 15 at 59 Canal Street. Tickets here.